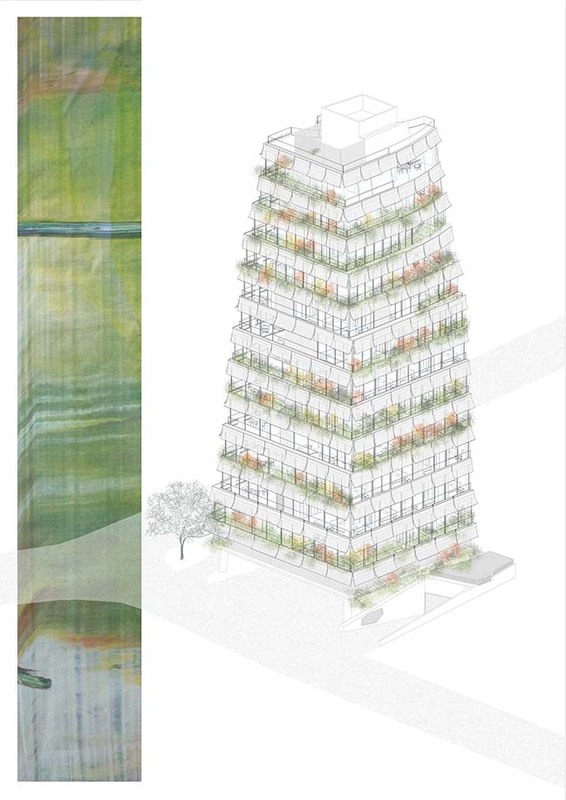 Located on a corner lot on Park street and facing the hippodrome, the proposed building is modeled on the shape of the ziggurat. 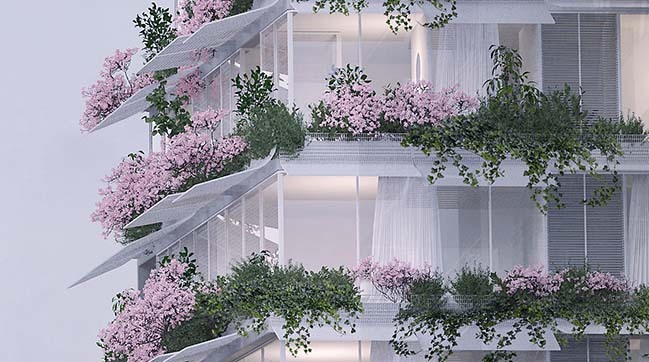 The stepped design allows the integration of planters with metal mesh panels creating a "tree building". 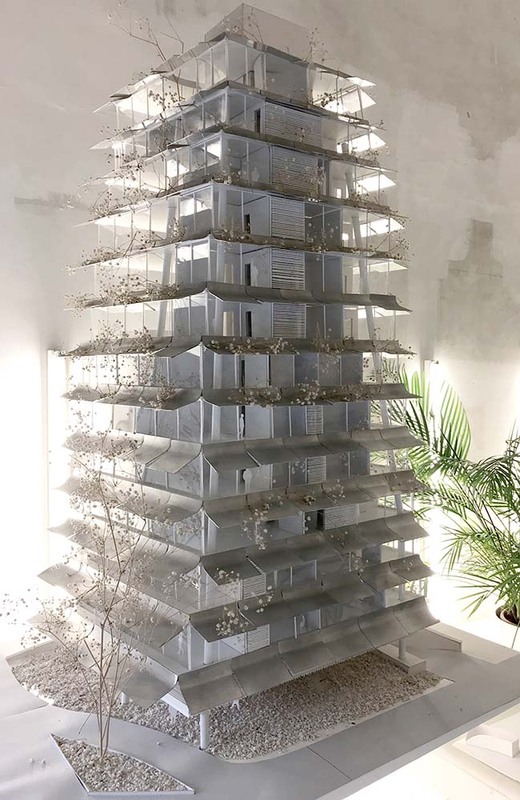 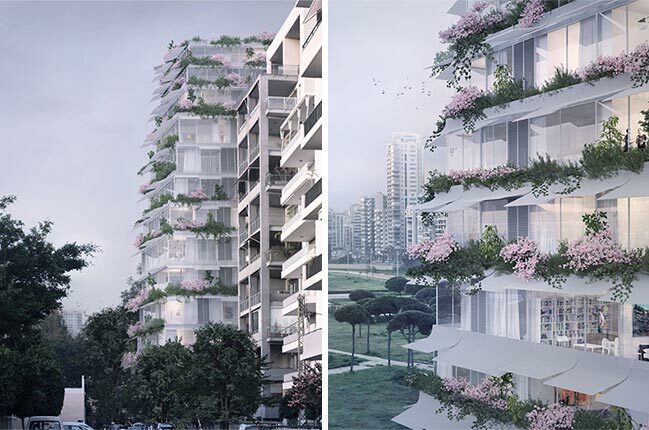 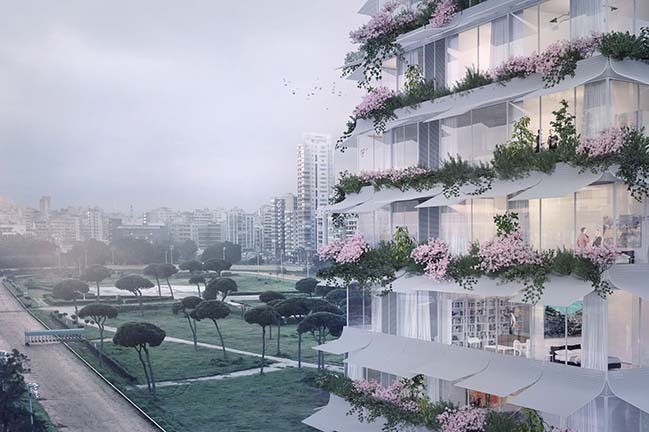 From the architect: The design was primary driven by a desire to create a tree building facing one of the very few forested areas in Beirut. 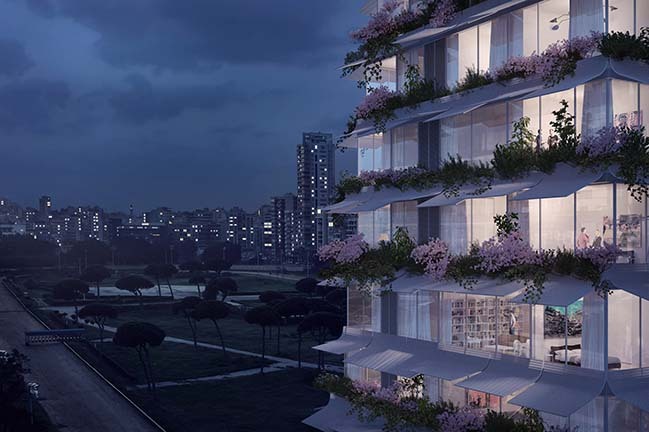 The scheme borrows many aspects of the local Mediterranean lifestyle and architecture with spaces bathed with natural light, sunbrakers and vegetation. 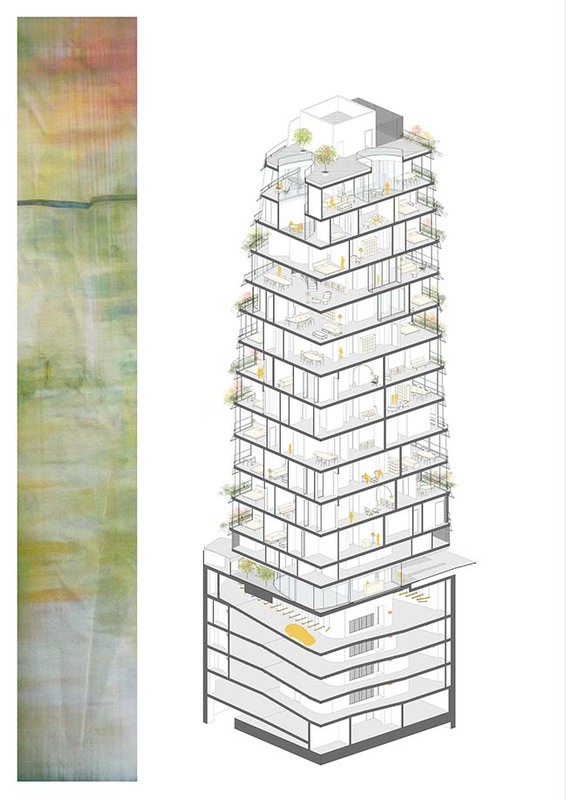 Dominating the skyline, the building features floor to ceiling facades where divisions between interior and exterior are blurred. 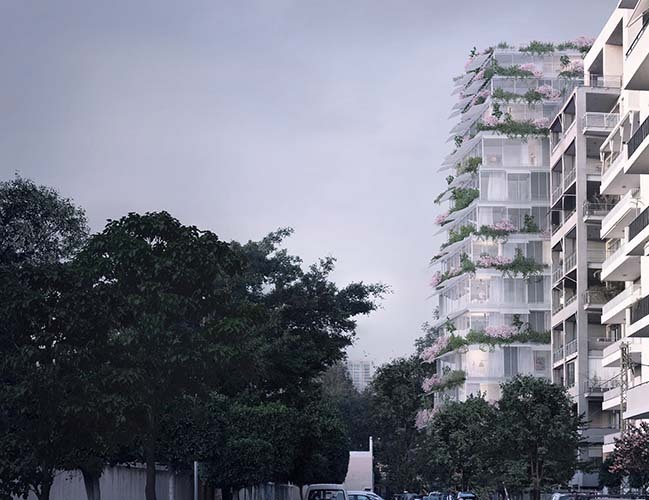 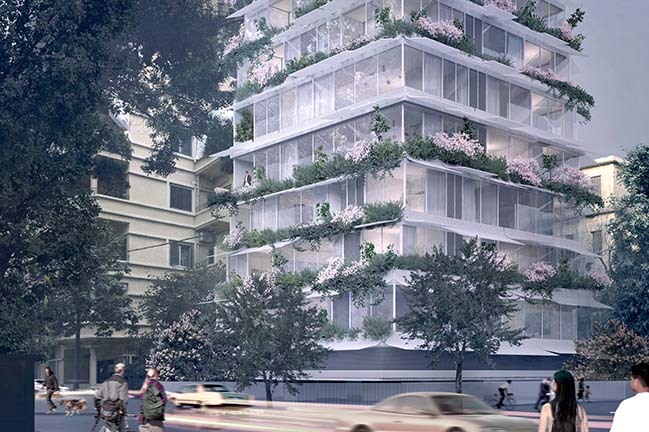 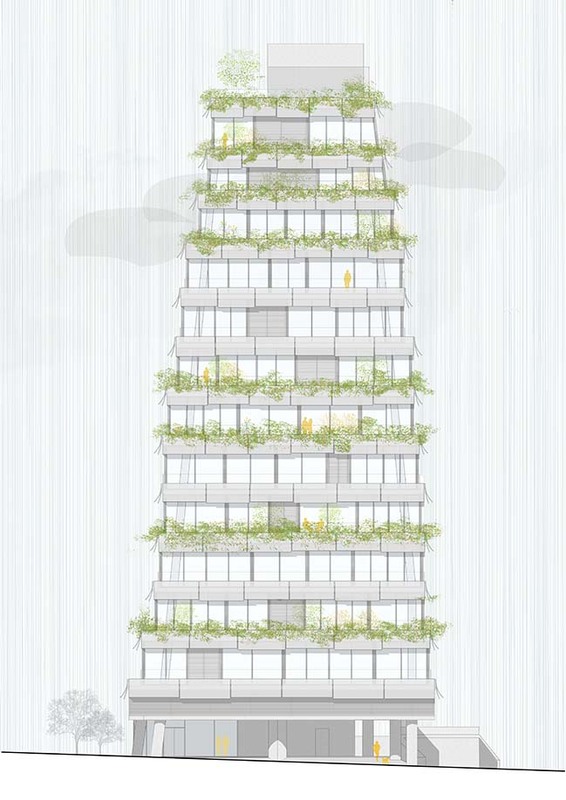 Imagined as a vertical “garden”, a generous variety of vegetation and trees are positioned throughout the residential units. 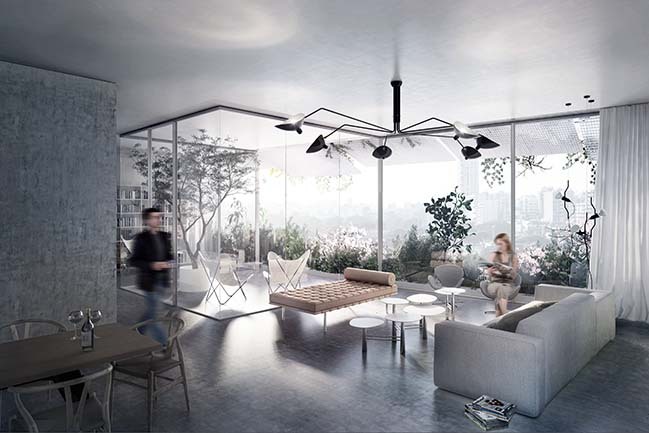 The building offers a comfortable and livable environment with a diverse spatial configurations, orientations and sizes ranging from small units with one bedroom to larger units with 3 bedrooms. 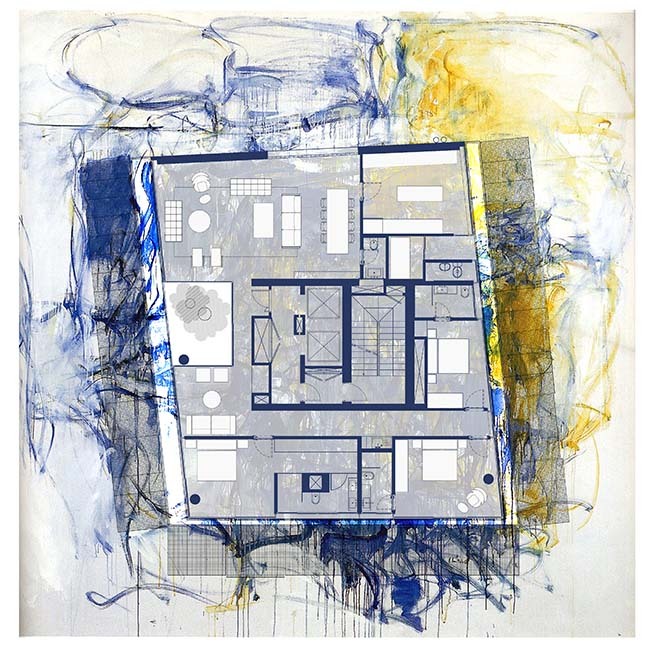 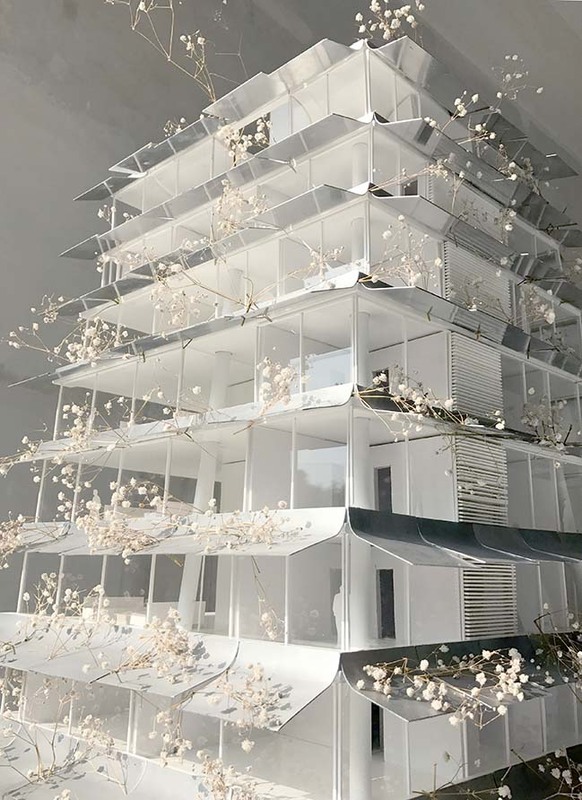 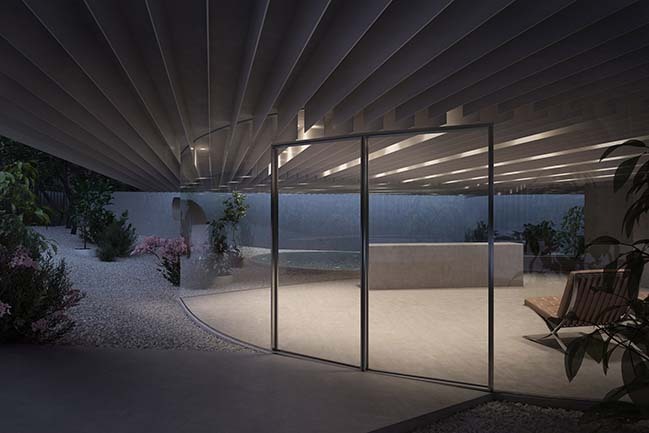 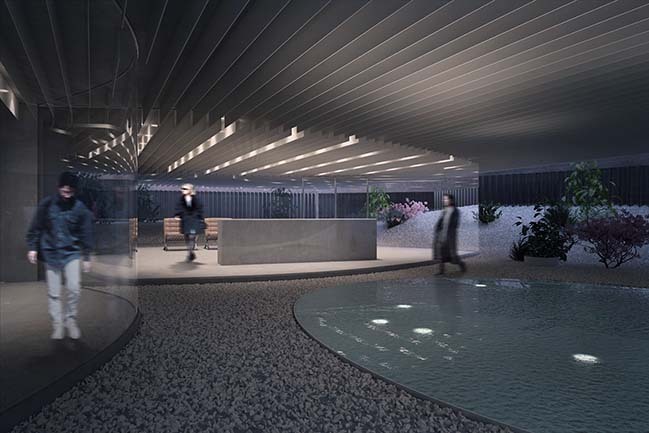 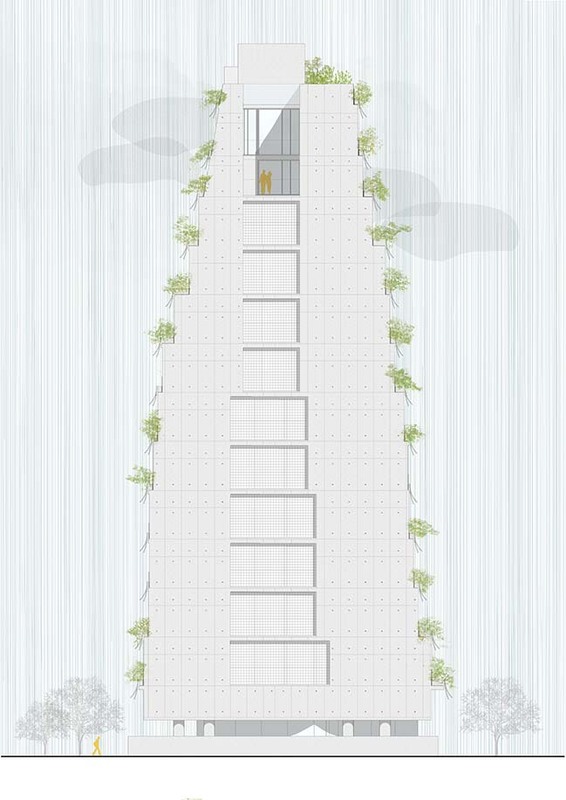 The design contains and embraces the complexity of nature through the conceptualization of the building with a simple idea ridding architecture of futility in order to achieve enchantment.